Apple has announced that it will be opening a trio of retail stores following construction and renovations over the next week. 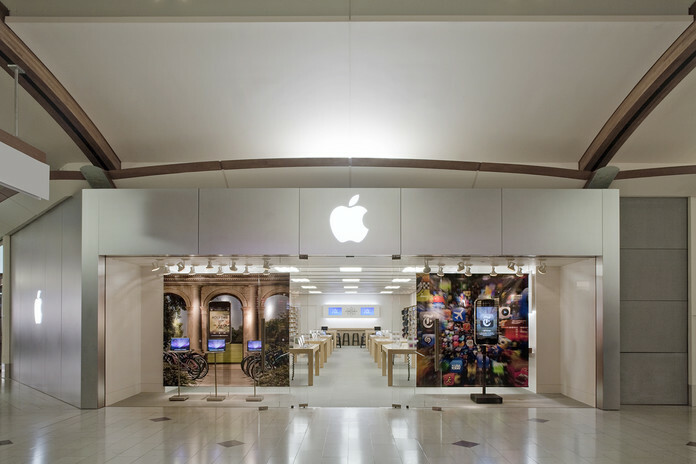 Apple's retail store at Westfield Annapolis in Annapolis, Maryland will open at a new location within the shopping mall on Saturday, August 20. Apple did not provide a specific time, but the store opens at 10:00 a.m. local time on Saturdays. The store's new address will be 1735 Annapolis Mall. Apple's retail store at Country Club Plaza in Kansas City, Missouri will also be moving to a new location within the shopping center on Saturday, August 20. Apple did not provide a specific time, but the store opens at 10:00 a.m. local time on Saturdays. The store's new address will be 227 Nichols Road. 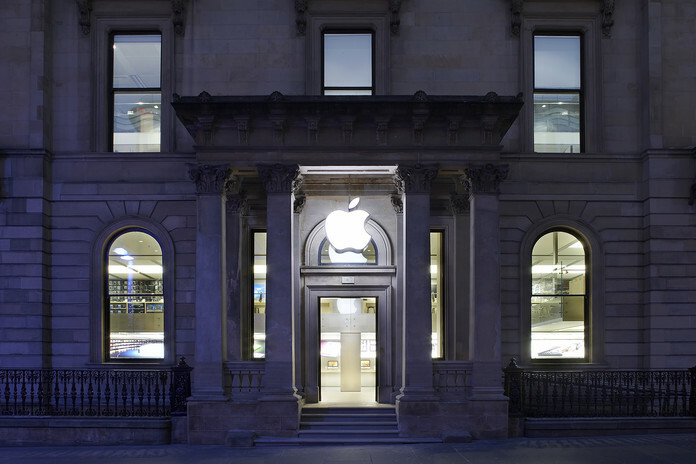 Apple's retail store on Buchanan Street in Glasgow, Scotland, closed since January, will reopen one week later on Saturday, August 27 at 9:00 a.m. local time. The store remains located at 147 Buchanan Street. Planning documents filed with Glasgow City Council in 2015 reveal extensive interior and exterior renovations. The trio of locations will feature Apple's next-generation store design inspired by chief design officer Jony Ive, including some combination of large glass doors, light boxes extending the length of the ceiling, indoor trees, touch-sensitive sequoia wood tables, sequoia wood shelves along the walls, and large digital screens for product marketing. Read our Apple Stores roundup to keep track of the company's latest retail store developments. Next generation store. Last generation products. Jeez, talk about milking a dead cow. We get it. I think I'm looking forward to the MBP updates more to silence the haters, than actually look to buy one. I've always liked the simple design of the Apple Stores and the use of the glass doors and lighting inside. I don't think people who recognize the slowness of Apple's innovation lately are necessarily haters. True, but it's close to trolling; they mention it relentlessly, every which way they can. I understand people who have older machines, which they use for their livelihood, and don't feel that the current spec justifies paying that much -- especially if there's an update around the corner. That's absolutely fair enough and I agree with them. But a lot of people seem to be acting like it's completely the end of the world and will hammer the issue wherever possible. You know the ones; you see them in almost every thread. As if they can't do anything on their current Macs that will suddenly change when they're refreshed with better specs. I question how many of the persistent whiners actually own a Mac. They need to install stained glass and light some incense. That's only your opinion. They have one of the best jobs in the field, if not the best. Have you seen these workers at the store? You must be blind. They are constantly working under pressure to be faster, from entitled narcissist customers and managers constantly pushing them left and right up and down. Yet from glass door their pay is laughable. Spot on. I don't think people who recognize the slowness of Apple's innovation lately are necessarily haters either......but when its cro-barred into every post, especially ones having nothing to do with the release of a product, then its time to call a spade a spade. Apple renovating and updating their stores is a good thing. Yet we still have people that will go into a story about store renovation and complain about Apple's lack of innovation. When products do get updated, thats still not good enough and we here people saying things like..."Yeah well, it took em long enough" or "Its about time"
Some people are just never satisfied. Why doesnt Iphone come with a bigger screen!!!!! So Apple puts out a Iphone with a larger screen and what do they say? "Oh, Galaxy Note has had bigger screens for YEARS!!!!! Ok, well you complained about it, it got solved, what more do you want? Bingo! Leo Laporte, who has taken to regularly bashing Apple since they stopped inviting him to their events, was repeating this same meme, when even he stopped to admit, "but I guess if we are honest, we'd struggle to find anything you can't do with the existing laptops, etc." WE are getting trolled in the continuing Apple-controlled good news show. It is scripted to keep us customers relaxed while the Board can sit in its comfortzone. Stop VP's taking selfies in new stores with ageing inventory. Spread Phase Red for complacency and neglect. Yes, please save the company and get on with firing Cook, Cue and Ive and the lot of them for heaven's sake. Who cares if they just built Apple into the most valuable company on earth with the most revenue, or that they are spending over 10 billion dollars this year on R&D, they obviously are a complacent, neglectful and incompetent group that needs to go. Extra points for having an irritating avatar or .sig. But only if they meet the above criteria. And then, I put them on the blocked list. I don't think the guy you singled out meets my criteria. But I did block out another idiot in this thread. I swear, you would think some of these people just spend their entire lives on these keyboards automatically typing moronic $#!+.